Since my last post, lots has happened. So much so, that what I just wrote is a complete understatement. Our gap year has been filled with so much adventure. Much of it personal, but also very much professionally. We have taken trips to Denver, to Atlanta, to Galveston and camping in Texas. We have forged beautifully close relationships with people we met only a few months ago, and we accepted international teaching jobs. Yes, a lot of adventures! Our days in Houston are spent finding the balance between academic rigor, deep diving into topics of interest, and playful distractions, all the while with me reminding my three little learners that this is our method of educating them for the year, so yes...they must do work, lots of it sometimes! They have grown so much in areas of reading, writing, math, and navigating sometimes complicated relationships among siblings and with me. They have learned the importance to pitching in with household chores, how to manage a grocery budget, how to walk to a neighbor’s house unaccompanied, and how to sit in our sunny backyard and just relax. At times, the days seem long, but the weeks are just flying by, and we are quickly approaching a huge change in our lives. At just over the midpoint in our gap year, I wouldn’t change anything. This time that I have homeschooled my children has been the most rewarding challenge. Somehow, I also managed to continue my work as the founding teacher of a Spanish Immersion program. We have met some incredible people who we have learned alongside, formed fellowship with, and will miss terribly when we go. 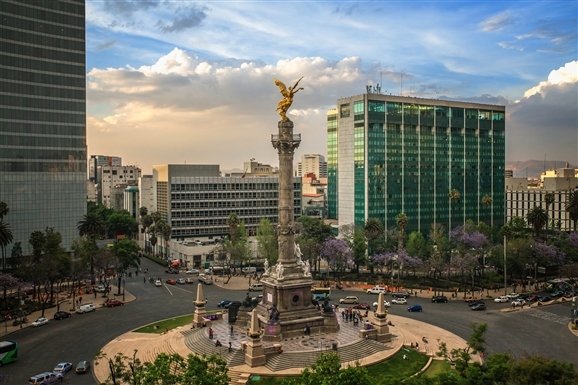 Our family of five will be moving to Mexico City in July 2018, leaving the only home our three children have ever known. There is a mixture of nervousness, excitement, and anticipation as the months fly by. My husband and I have accepted positions at the American School Foundation, and our children will join us there as students. I am so excited at the opportunities that we will have as professionals and as a family. Our children will finally live in a country where Spanish is the majority language, and I have high hopes for solidifying their Spanish language. Our school is an American School, where English is the language of instruction, but a high percentage of students are Mexican nationals, and therefore my children will have plenty of opportunities to form relationships in Spanish in school and in the community at large. This journey began in December of 2016, but as we face the drudgery and elation of an international move a mere six months from now, it only just seems real to us. A beautiful view of our future home. For those of you just now joining us, here is a brief timeline of what lead to this. December 2016 - I made a plea for a new adventure and a way to simplify our lives. January 2017- Husband accepts plea, and announces to his job his plan to resign in July 2018. June 2017- I begin exclusively homeschooling our children in a gap year from school. August 2017- We begin our hunt for international teaching jobs. December 2017- Accept positions and inform our families. January 2018- present- Begin the exciting, yet tedious and stressful task of wrapping up our lives in Houston. How our bilingual family has chosen to spend our gap year from school. 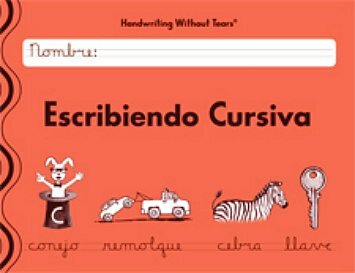 I'm excited to share with you a resource that I found for my six year old daughter, who has been interested in learning cursive. In kindergarten, she mastered printing by using a copywork book, and in her goals for this school year, she decided she would like to learn cursive. Another goal of hers was to learn to read in Spanish. We are all bilingual readers in our house, and she wasn't going to be left behind. In the traditional fashion, I began by teaching her the vowel sounds and progressed with syllable based readers. Since she's already reading in English, the progress has been quick. Sometimes, I just have to remind her that "me" in English is different that "me" in Spanish. After a lovely trip to Mexico, and taking a bit of time to have a more traditional summer break, our house like may across the country and world are gearing up to return to school. Whether that be homeschool , private school, or public school, there always seems to be a feeling of new beginnings, something akin to a New Year's resolution in the air. How will our children spend their precious extracurricular time? What things will we prioritize for our families? 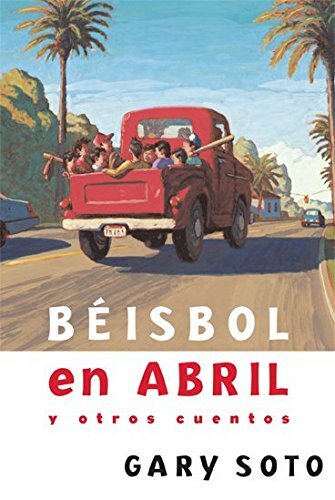 My US raised Spanish speakers sometimes have a hard time connecting with authentic Spanish literature. 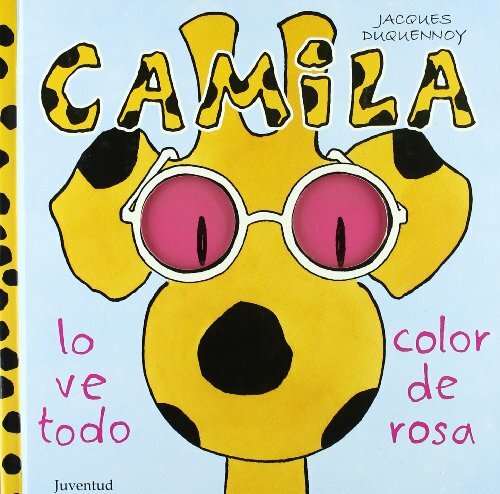 I am very sensitive to translations, but both of these books speak to my kids in a Spanish that they "get". Love when that happens and they are in stitches and asking to read more! Bilingual Mama win! Ya’ll, I fell in love at first sight with the Insta Pot in Alpine, Texas over shredded chicken tacos. I couldn’t believe the innovation of a kitchen appliance that could turn frozen chicken breasts and a jar of salsa into something so flavorful in twenty minutes. 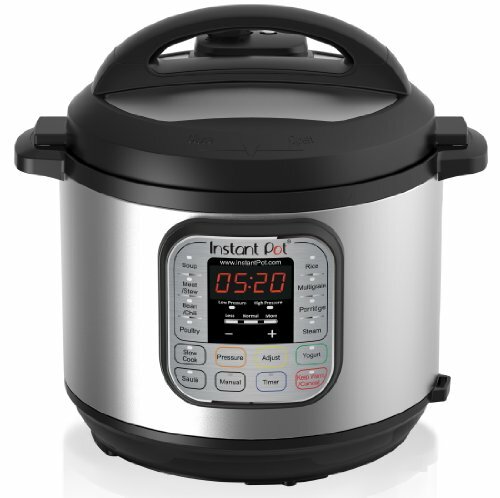 I love my slow cooker as much as any busy parent, but it definitely has its limitations, and somehow, all the food seems to start to taste the same. I have definitely been in a rut lately that not even Pintrest could get me out of. I envied friends who took the time to prep ahead or make meals ahead on the weekend. I simply couldn’t get myself to follow through with it regularly. This past weekend after a few weeks of insane business, that always seem to sneak up on me with May, I decided I had to have one. Anyone who has chatted with my lately knows that my family has been on a journey of minimalism and intentional living. I really try to be thoughtful about my purchases, and hadn’t reached they point of convincing myself that I really needed to have this kitchen appliance. Between end of the year school projects, events, family obligations, kids sports activities, wrapping up my teaching semester, my husband’s work commitments, you all know what I mean about May…. I had to do something. Like every busy parent, I often found myself with all the ingredients that I needed for my meal, but no time to prep ahead or make dinner before my kids had gorged themselves on every snack possible or revolted. Our dinners ended at 8 pm, right around the time this mama turns into a pumpkin, and my kids know, “Ya no quiero nada, con nadie.” I could barely stand to be by myself, let alone starting bedtime routines with any tenderness or patience at that hour. So, this morning, while at running errands, I sent my husband a text. A text informing him that I was purchasing my Mother’s Day gift. I had begun following Michelle Tam of Nom Nom Paleo, and got excited about the possible menus and extra time. I brought my Insta Pot home yesterday afternoon, promptly setting it on my counter and hitting Pintrest for recipes for recipes for what I had on hand. I decided on picadillo, a typical Cuban comfort food, jasmine rice with avocado salad, and roasted carrots. I picked the kids up from school, and we all excitedly began prepping dinner. While Selena, not Selena Gomez, blared from our speakers, we chopped the veggies, and I began browning the ground turkey in the Insta Pot. Yes, that’s right...you can brown and saute in the actual pot, and then add the remaining ingredients. After 15 minutes, our delicious picadillo was flavorful and ready. I decided to use the same Insta Pot to cook 3 cups of jasmine rice. I would normally turn to my rice cooker for this, as I am notorious for burning rice in regular pot, but after 12 minutes, my rice was fluffy and perfect. Following Michelle Tam’s advice, I began pot of black bean soup, where I sauteed onions, garlic and peppers before adding dry beans and broth to cook for 30 minutes while we ate our dinner. This was a meal that I usually reserved for a home school day, because of the time it took to soak, cook, stir and watch the beans. ¡No más! This is now one of the easiest dinners I will make. Cooking with my children is one of the things that keeps us most connected in to the Spanish language, and our latino heritage. Our family enjoys cooking foods from my native Guatemala, but we also love Mexican, Venezuelan, Spanish and Cuban inspired dishes. Tonight we spoke and sang in Spanish, danced salsa, and fed our souls and our bellies with our delicious dinner. On another note, I don't think I had to remind my kids once, "En español." Spanish is connected naturally to them on nights like this. This post contains affiliate links. I receive a small commission based on the sale of this product if you buy it through the link below. Thanks again, this helps us continue to bring great recommendations to our readers. It was a packed house in the Mark Twain Elementary school library on Saturday when dual language families and supporters from that last 20 years gathered to celebrate a milestone anniversary. The room was filled with excitement and nostalgia for the journey that had begun for many of them in the kindergarten classroom of Graciela Martinez, who continues to be the beloved teacher welcoming them into this special community. Terry Armstrong, from HISD’s Multilingual Department, who along with Graciela Martinez, helped to write the proposal that started the first dual language classrooms in Houston was on hand for the celebration. She was honored for her support, she reminisced at the uncertainty of the program twenty years ago, and marveled as to how far they have come. She said, “Our first class of students have now gone on to college, and have become productive citizens.” She has a personal connection to one special student who was part of the the inaugural class, her son. As a bilingual parent in Houston, I am grateful for the option to send my child into a learning environment that celebrates and promotes speaking more than one language. In a dual language classroom there is a balanced number of Spanish and English speaking students. They learn both languages together, serving as models to one another, and the result is amazing. These students are a family of global citizens who are not only bilingual, but biliterate. We began our children at Mark Twain, in the dual language program, and left for a variety of reasons, none having to do with this wonderful program and its incredible teachers. I felt so privileged to have been witness to this event, and to reconnect with members of our dual language family. This has been an evolution, but this is how view my bilingualism now. I have flashbacks of being at the airport in the Aurora Airport in Guatemala City at 5 years, old not fulling understanding the heaviness of what was going on around me. The adults in my family embraced and cried, as we said goodbye for what was meant to be two years in Houston while my dad trained as a specialist in pulmonary medicine at Baylor College of Medicine in Houston, Texas. I remember looking at my aunts, and saying, “ Voy a regresar hablando ingles y rubia con ojos azules.” I’m my young mind, learning a language meant that I would also trade in my physical appearance to match my perception of American culture. I explained that I would come back speaking English, and blonde haired and blue eyed. They chuckled at my perception, but probably understood that I would come back with some adopted Americanized views. We moved to Houston in August, and that same month I began kindergarten in a public school. Unlike many immigrants coming to Houston, my parents were bilingual and educated. Mrs. Strickland werlcomed me and my family into her classroom, and was patient about my language development and curious about my culture. My parents implemented a situational bilingual model. At home, we spoke Spanish and in school and out and about we spoke English. They always made sure that we remembered the importance of speaking Spanish, as well as learning English. I have a very vivid memory of a teacher coming to reprimand my brother and me on the playground for speaking Spanish. My brother followed behind me in school by a year, and he was still not comfortable as a kindergartener. My mom found out about the recess incident, and made it very clear that we needed to remember that being bilingual was a gift, and apologized that the teacher didn’t see it this way. Needless to say, my brothers and all were completely fluent within a year, and quickly our preferred language of play became English. My parents didn’t try to dissuade this, but continued to hold us to the expectation that at home we spoke Spanish to them. Two years turned into 35 years. My parents carved out a comfortable bicultural life for us in Southwest Houston. It was a life flavored with cultures from all over Latin America, and we were also blessed with family coming through for months at a time from Guatemala. There was definitely a time in our lives, when we lived in an Anglo world, and were embarrassed by our Guatemalan heritage, and speaking Spanish, but I am so glad that my parents held their ground. My brothers and I are all still perfectly bilingual, and living in Houston. This brings me to present day Houston. My husband and I are still in the battle to raise our kids bilingually in Houston. I have made my living educating kids in schools as a bilingual educator, an international school teacher, and now as a business owner of a Spanish immersion enrichment program. As a bilingual family, we have heard countless times about what a gift we are giving our kids. For the first time this Spring, I’ve see an outward perception that speaking Spanish wasn’t something that was beneficial. I debated posting something that might be viewed as political, but I felt like it was worth mentioning the shift, so we can continue to support one another. I was at a museum in Houston on a field trip with my kids, ages 10, 9, and 6. As is customary, I was explaining something to them in Spanish. I was startled when behind me a woman said, “You should really learn to speak English.” My gut reaction was raw, and I quickly snapped, “ I speak fine in English, thank you.” I saw her look of surprise and quickly walked away with the kids when I realized that she wasn’t alone, and I might have put us in an unsafe situation with my response. As I write this, I still can’t believe that it happened. I have heard of a couple of instances like this happening around our country, and it saddens me, and makes me work harder at being sure my kids are proud of their cultures and languages. Yes, we are a bilingual and bicultural family. My constant reminder to myself and my kids. I recently shared that I had a little bit of regret from taking my children out of a Spanish dual language program, which provided not only academic instruction in Spanish, but daily interactions with our Spanish speaking tribe, who we came to love like our family. You may be thinking....Rita, you say you speak Spanish to the kids all the time. Our one parent on language model continues in our home. I home school the kids ( using a classical curriculum in English) 3 days a week, which give me 5 days to immerse them in Spanish, and guess what???? It's not enough. After two years of leaving our dual language program, they prefer English, and getting them to be interested in reading or writing in Spanish is very challenging. My 10 and 9 year old can read and write in both languages. In Spanish at grade level, and in English above grade level. My 6 year old is an emerging reader in both languages, but is more fluent in English reading. About 7 years ago, I worked briefly for Gena Vaughn of Spanish Over Coffee, and she gave words to something that I knew to be true about language. Relationships are established in specific languages, and it is difficult to shift out of those. If you are bilingual, think about a person with whom you interact with in Spanish, for example, what happens when you need to speak to them in English for some reason? It seems very unnatural. This is true for me with my parents, my siblings, my husband, my children , and even certain friends. I speak to them naturally in one of the languages. I have noticed that my children are still early enough in their language development , that they will slip into their language of choice (English) very easily with me. I, on the other hand, have an almost physical response to them speaking to me in English. These are some of the things that I do to maximize the exposure my children get to Spanish (the target language). Early, I made sure my family understood the importance of establishing a Spanish speaking relationship with my children. I remind them when necessary. Have play dates with other Spanish speaking families. Mariana Du Bosc of Bilingual Avenue has some good guidelines on how to plan one at various developmental stages. As they get older, we let them spend time with friends whose home language in Spanish away from you. They'll have no choice but to join in, and happily do. Join a fun Spanish class. My kids have enjoyed Spanish Book Clubs, Writing Club, Spanish Theater, and Parent/Child Spanish for the last three years. 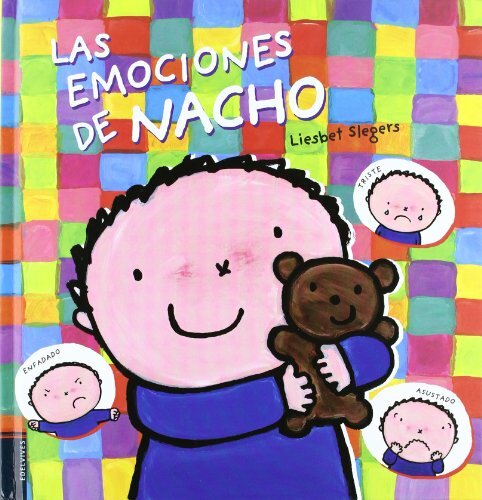 It give them enrichment in the target language in a fun way.
. Read to your children in the target language. 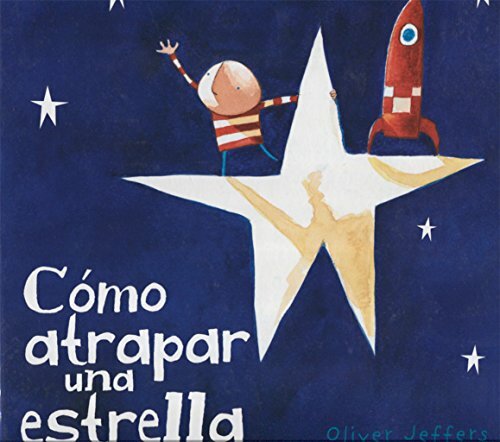 With my youngest, we read one book in English and one in Spanish nightly, and at other times during the day. Ideally, my husband should read in English, and me in Spanish, but the logistics get in the way. With my older kids we have tried some audio books in addition to me reading, but haven't been able to find a great selection. Listen to Spanish music. When they were younger, they enjoyed some of the classics, in addition to Jose Luis Orozco and Trepsi. Now that they are older they like Juanes, Jesse y Joy ( a bilingual sibling group from Mexico) and Shakira. Use technology. My kids will text or send emails in Spanish with no complaints. They also get to use Whats App, Facebook Live, and Skype to keep in touch with my grandmother and aunts in Guatemala. Travel to increase Spanish exposure. Nothing gets the Spanish flowing like wanting to play with Spanish speaking cousins. We are lucky enough to spend extended periods in Guatemala. In Houston, the Children's Museum, the Museum of Natural Science, have exhibits in Spanish. Even the zoo's exhibits are in Spanish. We've gone to watch our friends perform Peruvian dances and play mariachi music. This weekend, Houston even hosted a mock bull fight. Don't give up. When my children respond in English, often it only takes me repeating what they are saying in Spanish to get them back on track. Remind them of the gift that being bilingual is, preferably not in the middle of a language battle. Hola! Estamos emocionadísimas de compartir con ustedes nuestra experiencia en esta aventura de criar familias bilingües, en países dónde el Español no es el primer idioma. 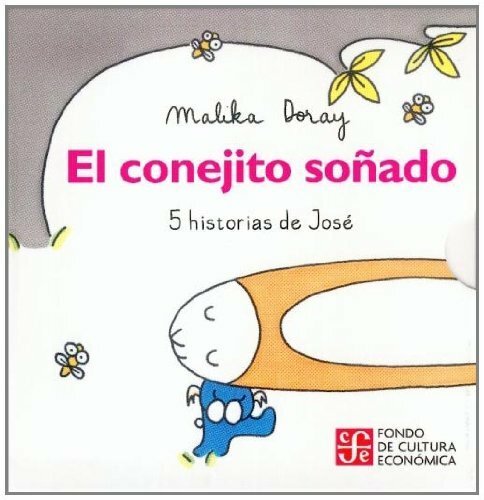 Gracias Rita, por compartir con nosotros la serie de libros para pequeños de 1 a 3 años. Yo soy Gaby y junto con Rita, nos hemos aventurado en explorar diferentes maneras de criar hijos de manera bilingue. Mi esposo y yo somos Mexicanos, llegamos a Houston en Julio del 2008, cuando nuestra hija mayor, Camila, tenía un año de edad. Desde entonces, hemos estado en la ardua tarea de encontrar los mejores métodos para que nuestros hijos sigan viviendo su cultura fuera de su país, pero al mismo tiempo integrando lo maravilloso que nos trae vivir en un país como éste. Ahora tenemos tres hijos, Andrés y Pablo, son nuestros gemelos, ahora ya de casí 6 años y Camila, que esta por cumplir sus 10 años. Nuestro idioma familar es el español. Todas las conversaciones, de padres e hijos y entre hermanos son en español hasta ahorita. 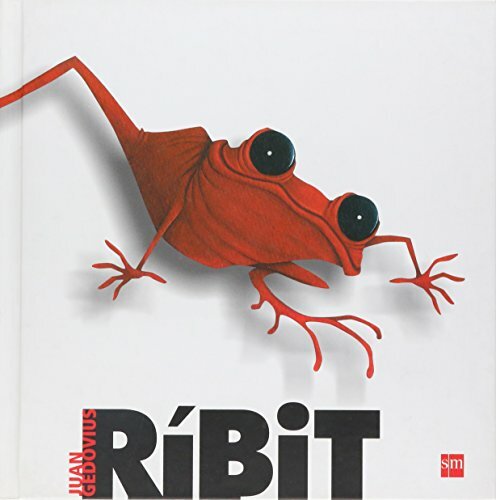 Hablando del tema de libros para pequeños, tenemos nuestros favoritos. Desde la edad temprana, uno de ellos es Nacho. Ha sido un personaje que nos ha acompañado en su desarrollo. 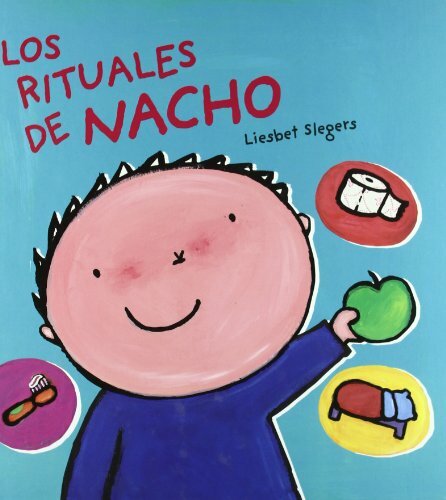 Aparte, es muy divertido, enseñándoles rutinas con Los Rituales de Nacho, cómo identificar sus emociones con Las emociones de Nacho, etc. Mis hijos, como muchos niños, aman los dinosaurios y nos hemos topado con algunos que les queremos compartir. El amor a la lectura es algo muy importante para mi esposo y para mí, éstas son nuestras recomendaciones para pequeños de 1 a 3 años. Son pocos, la verdad es que a esta edad lo que les gustaba eran las imágenes y que puedas como padre apuntar el vocabulario de lo que están viendo. A esa edad, no nos sentábamos a leerles historias largas, pero siempre pendientes que estuvieran en continuio contacto con los libros. Recently, I had someone ask me if it was necessary that their child attend a Spanish immersion program in order for them to be bilingual. Houston just had it's magnet notification day, which a friend recently compared to medical school match day for kindergarten. Her daughter had the opportunity to hold one of the very coveted spots in a dual language school. My answer to her was that although it is not necessary, it is very helpful. This exchange brought to the surface something that I have a little bit of regret about. We live in Houston, and the opportunities for my family to speak and interact in Spanish are bountiful. As a family who began our language journey from birth with a one parent one language model, our young daughter expressed herself first in Spanish. She spent the better part of her days in the loving care of her Oma, my mom, who spoke to her, played with her, and read to her in Spanish. I spoke to her exclusively in Spanish as did all of my extended family. Regardless, our family language was English, and by the time we were making kindergarten decisions, she preferred English, our community language. We jumped at the chance for her to attend a local dual language immersion program. We needed help, because by now, her two younger siblings, especially my reluctant Spanish speaking son, were also more comfortable in English. 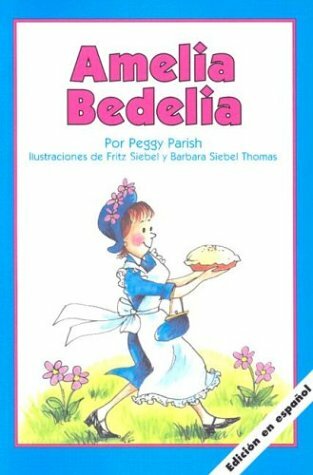 She had a wonderful teacher, and by the end of kindergarten was reading in both English and Spanish. Now, surrounded by our new tribe of Spanish speaking families, our world was Spanish speaking until my husband came home. This was the pattern of our lives for the next two years. A year later, our son, began in the same dual language immersion program, and I assumed we would continue three years later with our youngest daughter. We loved our school, our teachers, and our community, but we were magnet students , and I began to hear talk of the magnet program being discontinued before all three kids were enrolled. In an effort to be prepared, I began to explore other options for schools around Houston, mostly private faith based schools. During this exploration, we happened upon a university model classic Christian school, where parents partnered with classroom teachers. The model seemed ideal for us. It allowed me to home school with an academically rigorous curriculum two days out of the week, and still give the kids a school setting for another two days a week. Having been trained as an educator, I longed to take a more active role in their education, and the slower pace of part time home school really appealed to us. We applied, and I reluctantly informed the dual language school we loved so much. It was a difficult decision for our family, our children had received a wonderful bilingual education to this point, but we knew state tests were around the corner, and were unsure of the chances all three children could attend the same school. This is where a bit of regret comes in....not because we changed schools. Our new school filled many of the needs for our kids that we felt were missing . It was a nurturing faith based environment that really challenged them academically. I got to spend much more time with them since we home schooled for 3 days of the week. It slowed the hectic pace of our lives tremendously, but.....they lost their Spanish instruction, we lost the ability to interact with our Spanish speaking tribe on a daily basis, and for the first time I had to speak to the kids in English. As the co-teacher in an English curriculum, I had to read and help them write in English. I'm proud to be a very balanced bilingual, but it threw a wrench in our one parent one language model, and arrogantly, I didn't think it would interrupt their Spanish language development. Well, I was so wrong. I found myself clamoring to regain some of the Spanish they were losing. I own and run a business where students are enriched in Spanish classes from book clubs, writing clubs and Spanish theater. I made sure they each attended a weekly session, but soon, their schedules were full, and I thought, I can just implement it at home. Even with all my training and expertise, I failed to realize how intentional I was going to have to be to not lose the bilingual children I had worked so hard to raise. Take note, although it is not necessary to have your children enrolled in a dual language immersion program if you are lucky enough to be admitted, it is very, very helpful. In my next post, I will explore other ways that you can be intentional about finding Spanish speaking opportunities. I will also go into more detail about how I help my soon to be 5th, 4th and 1st grade children continue their growth in Spanish now that we are no longer in a dual language program. It is possible to raise bilingual children if your are consistent, persistent, and creative, even if you don't live in a city as bilingual as Houston. My first blog post answers the most common question that I get from readers and friends.